Fight fans everywhere agree it will be a momentous result, upset, occasion if Britain’s Amir Khan can defeat Mexican superstar Saul “Canelo” Alvarez and take his middleweight title in May. When the fight was first announced, there were not too many people seemingly willing to give Khan, a former 140-pound champion who has boxed just a handful of times as a welterweight, much of a chance. But since then, and in seeing Khan bulk up but seemingly maintain his amazing hand speed (at least in the video footage that has been released of Khan shadowboxing) more and more fans and experts are giving Khan at least an outside chance of making his audacious challenge a success on may 7. One man who says he knows how Khan can win, but that he has to “box smart and not let his heart overrule his head” to do so, is British legend and (surely) future Hall of Famer Carl Froch. In his column for The Nottingham Post, “The Cobra” wrote how Khan can win and that if he does so, he should be put “straight into the top 10 list of pound-for-pound fighters in the world.” Will Khan be deserving of such a lofty and prestigious ranking if he breaks Mexican hearts on Cinco de Mayo weekend? Many will agree with Froch and, perhaps begrudgingly, acknowledge how Khan deserves a place in the mythical rankings if he manages to pull off what would probably be the upset of the year (why begrudgingly? Because, for some reason or another; whether it’s in the UK or the US, Khan seems to attract more than his share of dislikes and naysayer’s – fans who seem to get annoyed at Khan and want to see him fail). But like Khan or not (and for what it’s worth, this writer likes him – with the constantly thrilling fights he has given us, and with Khan’s desire to fight the best of the best, what’s not to like?) even his harshest critics have to give Khan a ton of credit for taking the Canelo fight. And if Khan does manage to win, the praise he will be entitled to will be absolutely huge. Khan will indeed, I strongly suspect, enjoy a placing in most publication/website’s top-10 pound-for-pound charts if he can pull it off in less than two months time. 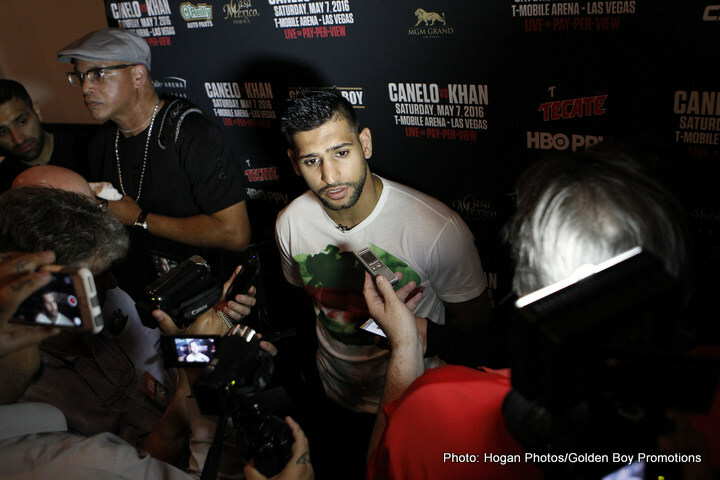 Now, if Khan does beat Canelo, where will he deserve to be placed in the top-10?